Is this the spell version of Dirty Rat? A brand-new card has just been revealed from Hearthstone’s upcoming Rise of Shadows expansion. 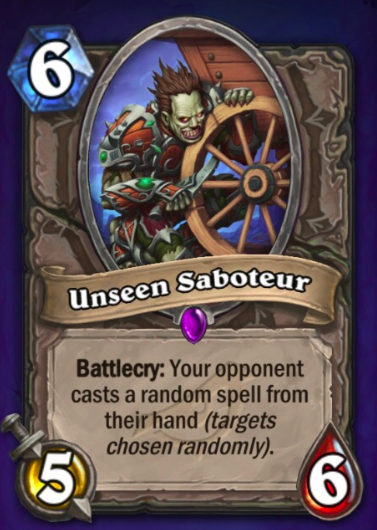 Unseen Saboteur is a six-mana neutral minion with five Attack and six Health. The card also has a Battlecry that forces your opponent to cast a random spell from their hand at a random target. The card has key similarities to the beloved Dirty Rat. Unseen Saboteur costs a great deal more mana, but instead of forcing your opponent to summon a minion, they have to cast a spell. It has decent stats, but most importantly, its Battlecry has a number of interesting uses. It has the ability to completely ruin a combo, leading to some hilarious situations. It’s the sort of card that’s bound to see play due to its flexibility. It could be used in a number of different decks and to great effect. 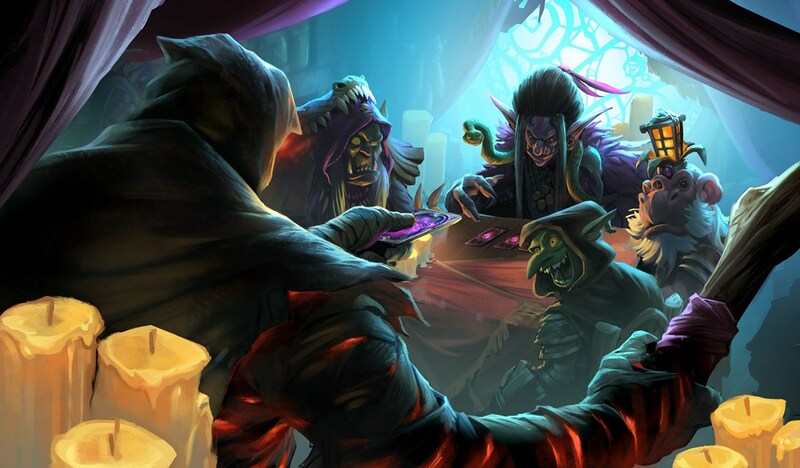 The card, which was revealed by Chinese streamer ChunGe, will be available to use when Hearthstone’s Rise of Shadows expansion comes out on April 9.